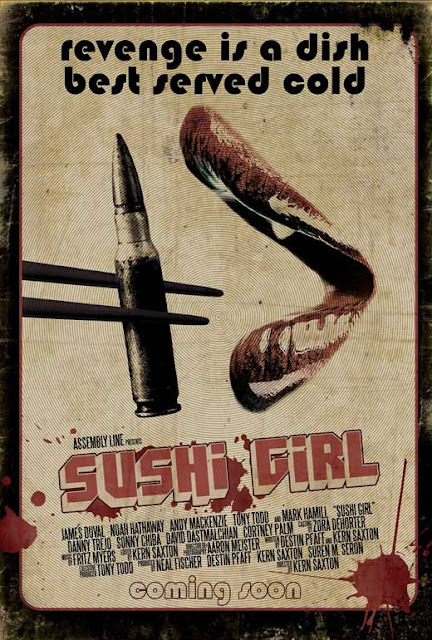 Cultural Compulsive Disorder: Luke Skywalker, Candyman And Atreyu Serve Up "Sushi Girl"
Luke Skywalker, Candyman And Atreyu Serve Up "Sushi Girl"
Who doesn't love to see an ensemble cast of cult movie actors in a some kind of crazed, perverted, sadistic horror flick? There actually seems to be a bit of a renaissance going on with these types of films, with directors like Robert Rodriguez and Rob Zombie leading the charge, and I couldn't be happier about it. Sushi Girl is brought to us by first time feature Director Kern Saxton. His previous work includes a short called "Deader Living Through Chemistry," which was selected by Gerorge Romero for inclusion on the "Diary of the Dead" DVD. 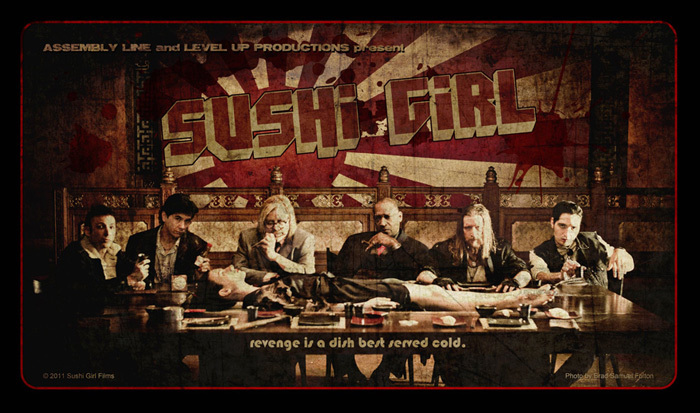 It's not clear what kind of release "Sushi Girl" will receive, but I imagine we can expect a small theatrical release at best, with a big push for the DVD. I will definitely be watching the fudgeneut out of this movie.